R20 vs R404A: do the advantages outweigh the disadvantages? According to a publication of the ‘Improving Cold Storage Equipment in Europe’ (ICE-E) project deliverables, the use of ammonia in cold stores and food processing industry applications is growing in Europe, however, the use of R404A is still quite common. In North America on the other hand, the use of ammonia is predominant, at least in large cold stores. 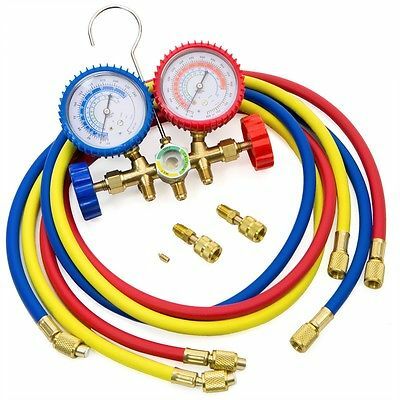 The two refrigerants can be considered almost equivalent in terms of relationship saturation temperature/pressure, volumetric cooling capacity, thermodynamic efficiency of the reference ideal cycle. With this in mind, the “Refrigerants” information document of the ICE-E Info Pack, looks at other criteria like refrigerant cost, leakage detection, environmental compatibility or refrigerant compatibility with materials to analyze the main advantages and disadvantages of R404A and R717. Cost: The current cost per kilogram anhydrous ammonia for refrigeration systems is several times lower than that of R404A. When the price based on the same volume of the liquid phase of the two alternative fluids is considered, the advantage of the ammonia doubles because R404A has a double density than that of ammonia in the liquid phase. Heat transfer: The best heat transfer performance using ammonia as refrigerant can be advantageously exploited, in comparison with the use of R404A, in two ways: using equipment with a lower heat transfer area and thus saving plant costs, or diminishing the temperature difference with the external fluids, with an advantage in the plant thermodynamic efficiency and thus saving operating plant costs. The efficiency of the compression process: Ammonia used in reciprocating compressors leads to a higher compression isentropic efficiency. The energy saving is relatively modest and of a maximum value of about 10%. Also with screw compressors, ammonia has advantages with regard to the compression efficiency, but unlike reciprocating compressors, the energy saving increases as the pressure ratio increases. Plant pipes: Ammonia is more advantaged than all of the other halogenated refrigerants because it needs pipes with a smaller diameter, both in the vapor phase at high or low pressure and in the liquid phase in the flooded evaporator fed by the pump. Behavior in presence of water traces: Under normal operating conditions, there could be water traces in the refrigerant either for an imperfect drying of the plant or for seepage in correspondence of leakages in any parts below the atmospheric pressure in the refrigerant circuit. With R404A, water separates and it can freeze at the orifice of the throttling device, thus blocking the operations. On the contrary, with ammonia, water stays in solution and it has not any drawbacks. Water traces should not exceed the concentration of 300 ppm also with ammonia, to avoid any chemical interactions with the lubricating oil, any formation of organic acids with the onset of corrosive phenomena also on iron materials, and any formation of deposits. Leakage detection: Ammonia presence is readily noticeable due to its sour smell already at a concentration of 50 ppm in volume in the air; thus, ammonia leakages from a refrigerant plant can be easily noticeable, and the fault can be repaired. It is not uncommon that R404A leakages from a plant become noticeable only when most of the charge is lost, because it is odorless, with relative functional and economic damages. Behavior with lubricating oil: In large centralised direct expansion plant for food storage, with flooded evaporators and with scattered utilities, the ammonia behavior with oil is better, as the complete non-miscibility eliminates the drawbacks related to the possibility of foaming of the oil in the crankcase of reciprocating compressors, whereas the few quantities of oil that enter into the refrigerant circuit can be periodically drained by special traps obtained in appropriate points of the plant, where oil deposits due to its higher density than that of the liquid ammonia, and reported to the compressor carter. Environmental compatibility: Ammonia release does not create any environmental compatibility problems, because, reacting with CO2 and H2O in air, it leads to the formation of NH4HCO3 (ammonium bicarbonate), which is a harmlessly washed compound. On the contrary, R404A is under scrutiny for its relatively high greenhouse potential (GWP=3,260). Therefore the use of R404A (and other HFCs) in large quantities is bounded by legislation, which is becoming more and more restrictive. Compatibility with structural materials: Whereas the use of R404A is fully compatible with common metals (steels, aluminum, copper and its alloys), ammonia (in presence of water traces) is aggressive on copper, zinc and their alloys. Thus, iron is the only suitable material for plants using ammonia, and the use of traditional hermetic and semi-hermetic compressors is not allowed. However, in large centralized plants, this restriction has limited importance. Final adiabatic compression temperature: Ammonia has a final adiabatic compression temperature much higher than R404A. High discharge temperature, in general, brings about high values of defects of efficiency due to desuperheating. Moreover, superheating losses are not compensated by the opposite trend of the throttling losses and with reciprocating compressors; this behavior limits the maximum pressure ratio for single stage compression to values lower for ammonia. With screw compressors, this aspect of the ammonia behavior is almost negligible, due to the effect of the fluid cooling in the compression phase by the oil injected into the compressor. Furthermore, the higher ammonia superheating can be an advantage in the cases the energy thermal recovery from the superheated vapor is convenient. Using heat recovery from oil coolers on ammonia screw compressor packages is more and more common practice. Flammability and toxicity: R404A is classified in A1 safety group according to ASHRAE ANSI/ASHRAE Standard 34-2010, whereas R717 is classified in B2 (flammable and toxic). The flash point of pure R404A is 728°C and that of ammonia is 630°C. The practical limit (the maximum concentration in an occupied room that does not create acute effects such that it is not possible a prompt evacuation of the occupants) for R404A is 0.48 kg/m3, whereas for R717 it is 0.00035 kg/m3. However, ammonia due to its odor will give a warning signal, whereas the concentration of R404A may increase without being noticed.